The Greater Neck Road Neighborhood Association says a barn is being improperly used for events and the code enforcement officer has failed to enforce local ordinances. 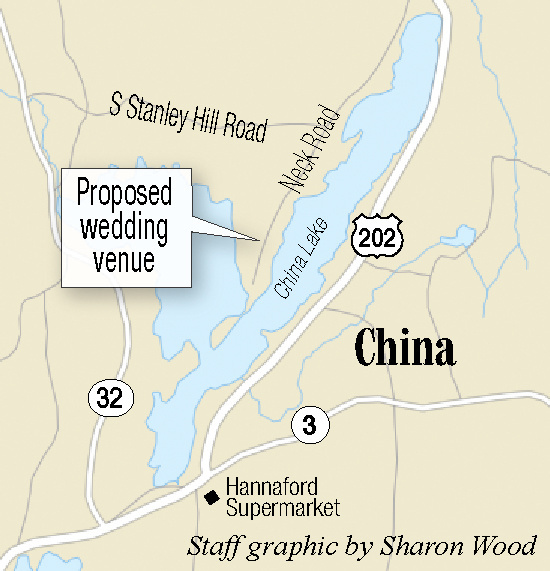 CHINA — A neighborhood association has filed an appeal against the town’s code enforcement officer, insisting action should be taken against a couple reportedly hosting events in their renovated barn without a permit. The appeals board is meeting Thursday at 7 p.m. at the Town Office to review the case and decide whether the lack of action by the code enforcement officer was a violation of town or state laws. The administrative appeal is one piece in a series of actions taken by the Greater Neck Road Neighborhood Association to stop Cathy and Parris Varney, who live at 701 Neck Road, from having large groups of people over to their property for events. The Varneys say they aren’t taking money for the events, which are for friends and family, so they don’t need a permit. In its 66-page application to the appeals board, the association includes town ordinances and state statutes about the duties of the code enforcement officer and state requirements for assembly, as well as a video one member took of a gathering at the barn. The association includes a number of abutters and households along the road. The application goes on to document the communication between the town and the association, often in precise detail. One document gives a minute-by-minute timeline of emails and calls between town officials and association members between April 30 and June 22. 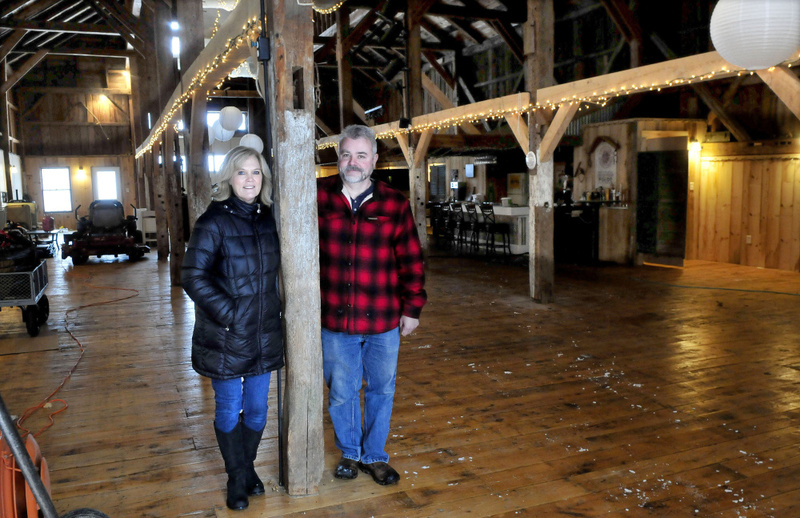 The months-long legal battle began in the fall of 2016, when the Varneys submitted an application to the Planning Board to turn the large barn on their property into a commercial wedding venue after successfully hosting their own daughter’s wedding in the building. The plan said the couple would host events only in the summer on the weekends, for a total of 96 hours per year. The permit was denied, then appealed and sent back to the Planning Board. More than 10 households appealed together the decision of the Board of Appeals to Kennebec County Superior Court, stalling the process at the town level. The case is still ongoing, but Town Manager Dan L’Heureux said they expect a response sometime in September. L’Heureux said he is not aware of any previous administrative appeals like this one before. Now, neighbors are saying that the Varneys are still hosting events and that the denial of the permit should be enforced by the town. In email exchanges with Paul Mitnik, the town code enforcement officer, in April and May, members of the association complained of events that were so loud they could hear the music in their homes. According to Cathy Varney, the events have all been for family or friends, and no money has changed hands. Mitnik told the association that because the events were private gatherings that didn’t involve money, the Varneys weren’t violating the law. While Mitnik didn’t want to comment before the meeting, he did reiterate in an interview Tuesday that he doesn’t think the couple are breaking any laws, which is why he didn’t take any action. In a letter to Spencer Aitel, chairman of the appeals board, the neighborhood association says it is appealing Mitnik’s decision “regarding the Varneys holding unpermitted gathering(s) in their barn” on three grounds stemming from a conversation with the Office of the State Fire Marshal. Sheri Wilkens, who lives across the street from the Varneys, said she spoke with Greg Day, who is the supervisor for the northern licensing and inspections unit of the state fire marshal’s office, according to its website. According to notes submitted by Wilkens, Day said that a barn is not a residence and thus doesn’t fall under ordinances for residences; barns aren’t built as places of assembly, so inviting people into one changes its use; and that the exchange of money doesn’t matter, as it’s not mentioned in the law. The association asserts that once the barn started to be used for events, there was a “change of use,” which requires a permit under town ordinance. Once there was an assembly of people, the structure was subject to the state’s fire code, Wilkens’ notes say. Day did not immediately return a call Tuesday requesting comment and confirmation. Wilkens, who is married to Planning Board Chairman James Wilkens, also did not immediately return a call requesting comment. The original application the Varneys submitted was denied after neighbors voiced concerns at an Oct. 11 public hearing. According to the meeting minutes, many complained about the potential noise, traffic hazards and runoff from using a field as a parking lot. The Planning Board said the application did not meet a criterion regarding whether the proposed use would have a “significant detrimental effect” on the enjoyment of abutting property as a result of noise, odor, glare or other reasons. The Varneys appealed the decision to the town Board of Appeals, which found that it lacked “proper findings of fact” and remanded the case back to the Planning Board. In turn, their neighbors appealed that decision to Kennebec County Superior Court.